It’s hard to believe it’s back to school time already. 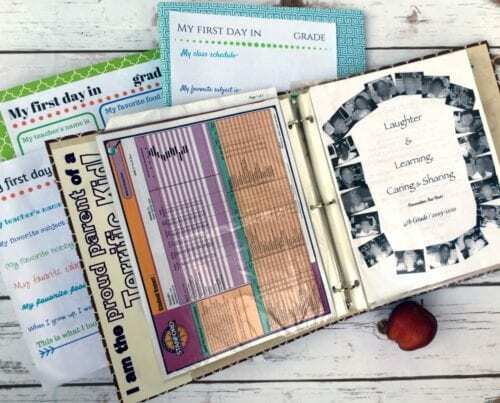 School memory books are a great way to keep track of all the special papers, mementos, photos, and certificates the kids will collect this year. 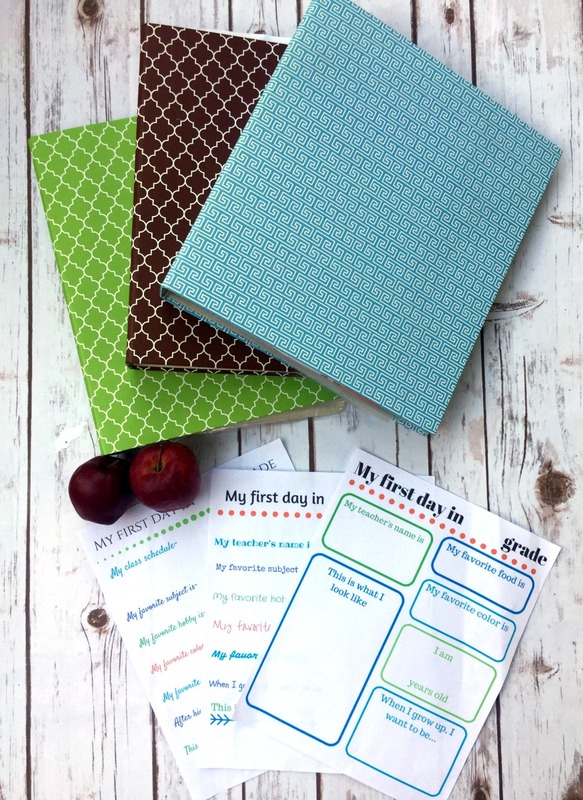 These DIY books, along with the set of free printables to go with them will make organization a breeze this school year. Hi readers, it’s Molly from Just a Little Creativity. My kids go back to school August 10, and it seems like summer has just flown by. We’ve shopped for school supplies and clothes and are all set to go. Well, with the exception of being able to wake up at the crack of dawn again. We’re definitely still on summer vacation time. Every year starting from day one, the kids bring home papers. Paper, papers, papers. Some are worthy of keeping, others not so much. 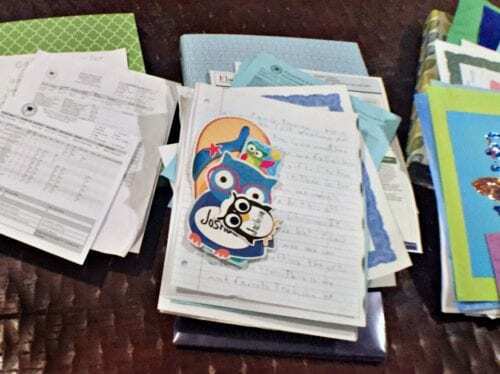 I’d start a little pile for each kid of the most important things (report cards, class pictures, awards, etc) and that pile would eventually grow humongous. As a solution, I made them each school memory books a few years ago. To DIY your own is so easy, here’s all you need. To stay organized, simply insert all their keepsakes into the page protectors, sort by grade and school year, and keep them in the binder. 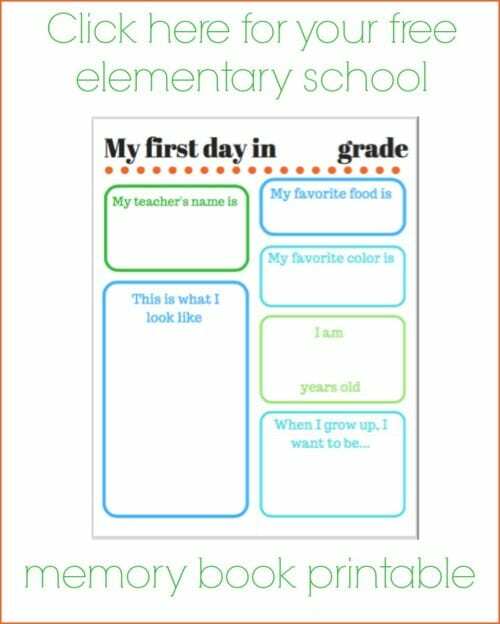 Download and print these memory pages and have your kiddos fill them out. These then become the cover page for each new school year. Plus, you have a little insight to their thoughts at the time. I wish I’d started this when all of mine were in preschool, but sadly I didn’t. I went ahead and picked up at the ages they were when I first made their books. It’s funny to go back and see what has changed and what’s stayed the same over the years. Even their handwriting is different. In the “this is what I look like” area, it’s cute to have the little ones draw a picture of themselves. 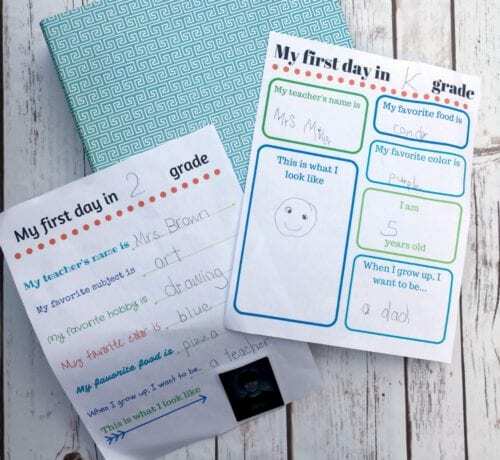 For the older ones, you can just tape a great snapshot or school photo of them on the page. 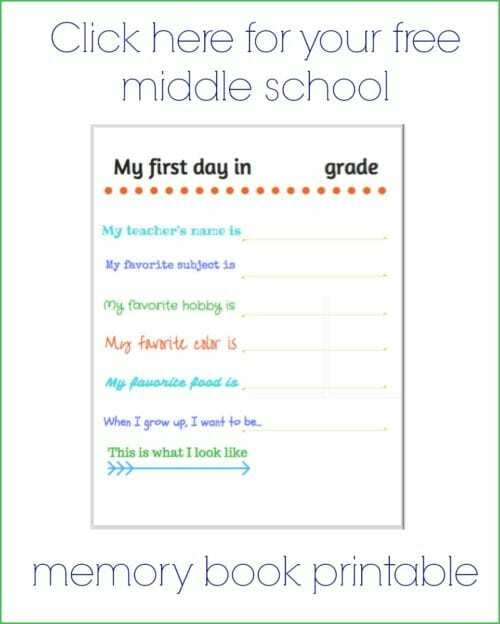 I designed three separate pages, appropriate for elementary, middle, and high school. I’d love for you to stop by Just a Little Creativity and say hi. I have a few other organizing and back to school ideas I’ve shared, like this one on how to clean sharpie off of vinyl folders (so you can reuse the good ones for another year). I LOVE this idea! My kids are grown, but I see the amount of paper my daughter has to manage for my grandkids! Thanks for sharing with #overthemoon! Thank you, Cathy! 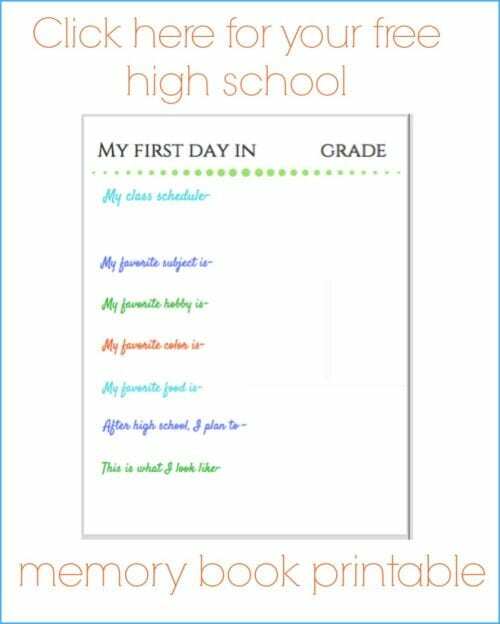 It is a great way to stay organized and keep the school year memories. I adore this! When I was a child, my mother started a book like this for me. But, she never filled in past kindergarten. I felt sad looking at all of those pages. Whenever I have kids, I know that I want them to do this. Thanks for the free printables! Oh how sad Gina! You are welcome for the printables. Thanks for stopping by!